Economy Air (restricted air itineraries) is inclusive from 26 airports in the U.S. and Canada (see list below). If guests don't need air or book their own air, they will receive a credit of $300 per person (amount is subject to change). All prices are per person, double occupancy. 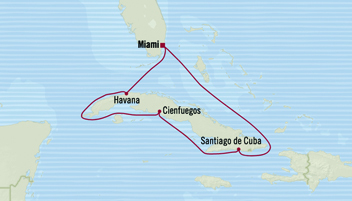 All prices include cruise, government taxes, and the inclusions as listed above. The itinerary, prices, and information are current at the time of publication and subject to change at any time without notice. Certain restrictions may apply. Prices do not include travel insurance, air from other airports than shown below, shore excursions, airport transfers, etc. A deposit of $750.00 per person ($1,500.00 per cabin) is due NOW to make a firm reservation. A non-refundable cancellation fee of $100.00 per person will apply in addition to Oceania Cruises' cancellation penalty. 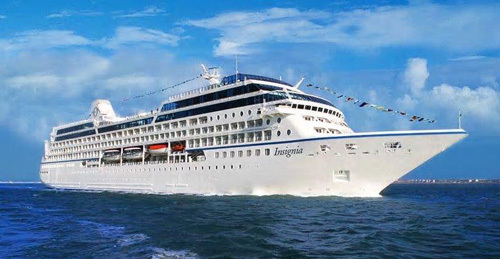 Flight arrangements are offered by Oceania Cruises and can be booked through Kerstin's Deaf Travel. A passport, valid for 6 months beyond the completion date of your travel is required. Additional travel documents requirements will be announced soon.